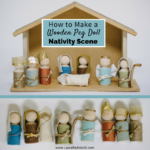 This entry was posted in Motherhood, Raising Kids. 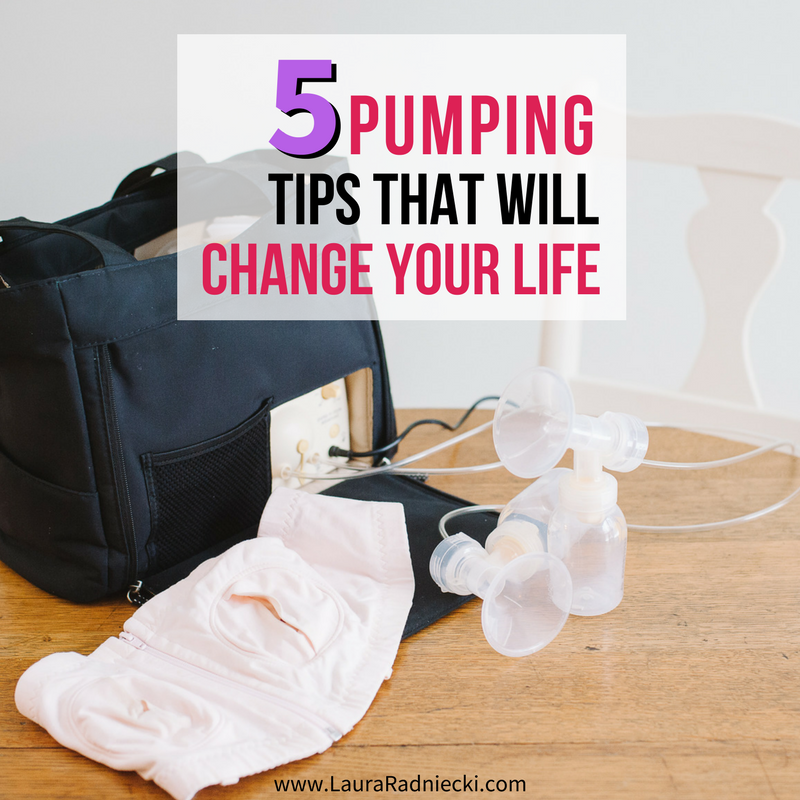 The 5 best pumping tips that will change your life! Breast pumping tricks that will make your pumping experience better, easier and faster. If you’re going to pump, you need to know these tips! Pumping breastmilk for your baby is a beast. 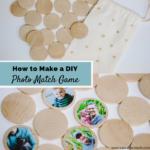 For some people, it’s necessary because of a career away from home, and for others, it’s a way to build a freezer stash so mom can go on a date night, or get some self care time while baby is with grandma. And for others still, it is the only way they are able to produce and provide breastmilk to feed their baby. 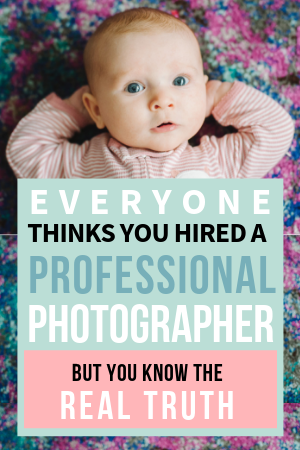 Whether you pump occasionally out of convenience or daily out of pure necessity, everyone who has pumped will tell you they have a love/hate relationship with it, and especially with their breast pump. They love it because it’s a way of feeding their baby but they hate it because it’s HARD. 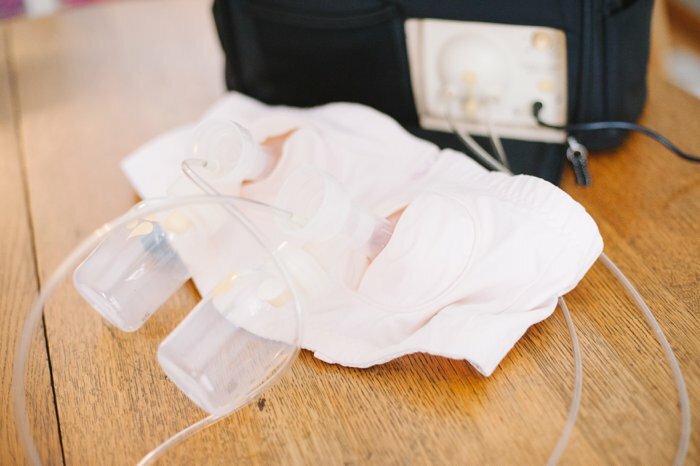 As someone who pumped almost exclusively for 8 weeks while my son and I figured out our nursing issues in the early weeks of his life, and as someone who also continued pumping for over a year, I consider myself a seasoned pumping veteran. I’m by no means an expert and I wasn’t an exclusive pumper the entire year, but I did learn a thing or two during my hundreds of hours at the pump. 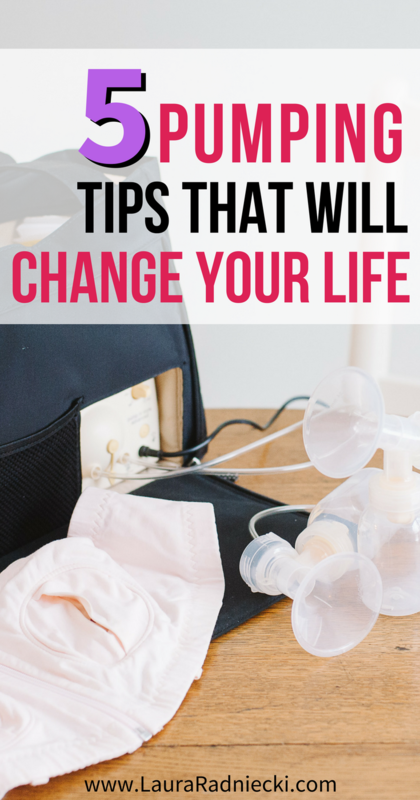 I’m sharing my top 5 best pumping tips today that will literally change your life if you do them. If you’re embarking on a pumping journey, or are already on one, I hope they help make your life a little bit easier. And not only do you have to decide what kind of pump you want to buy, but you need to get a prescription from your doctor, and go someplace to fill it. And then hope that it gets covered by insurance. 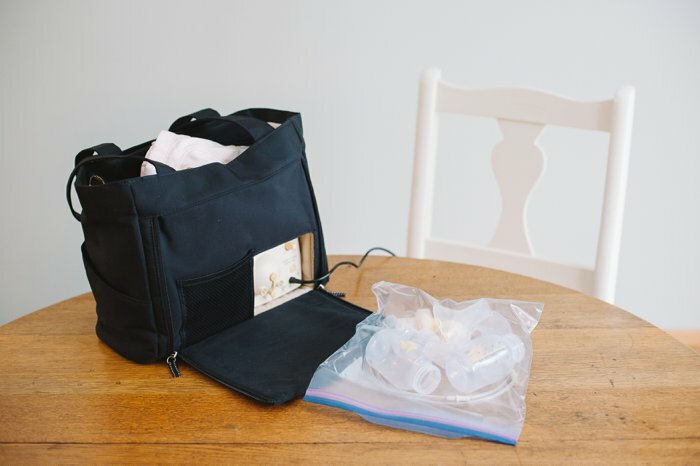 A few weeks ago, I wrote about a company called Aeroflow Breastpumps that helps mothers get a free breast pump through their health insurance, and the service is free to use. It sounds too good to be true but it’s not. 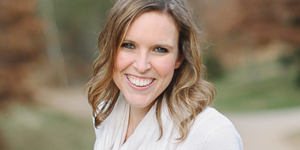 It’s an incredible resource and service available to all pregnant and postpartum moms! You simply fill out an online form, and a Breastpump Specialist gets in touch with you. They will verify with your insurance, figure out what pumps would be covered, get a prescription for you from your doctor, and help you decide which pump suits you and your needs best. Then the pump gets mailed to your door! It’s as easy as that. 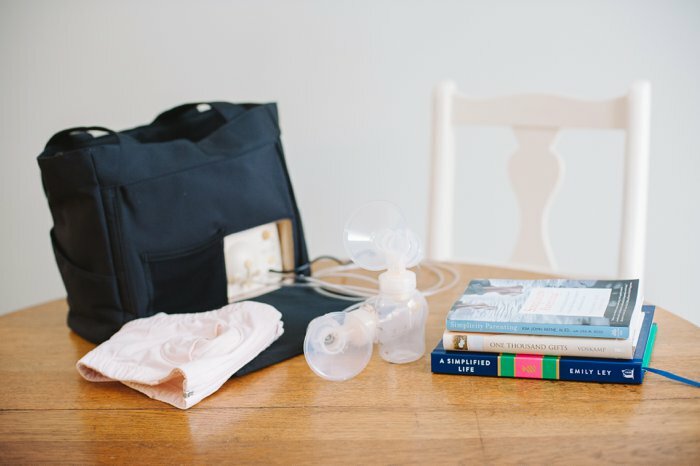 You’re going to be spending a lot of time getting well acquainted with your breast pump so you want to make sure it’s powerful enough to do what it needs to do, and meets any other criteria you have. A hands-free pumping bra is a MUST. An ABSOLUTELY NEED TO BUY NO MATTER WHAT. You do not want to hold the flanges on yourself the entire duration of your pumping session. You need a way to attach the pump flanges to yourself so your hands can be free. Free to eat, drink, read, surf your phone, or just so you can rest your arms and not have to be holding something up for the entire time. 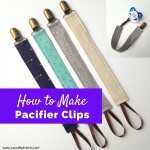 There are lots of tutorials online about ways to cut an old sports bra and make it a pumping bra. That works too; whatever you need to do to keep your hands free. My preference is to buy one of these adjustable hands-free pumping bras that zip in the front and have an adjustable panel in the back. My body, rib cage and breast size all changed throughout my postpartum and pumping seasons, so the adjustable back came in handy. I ended up buying a second hands-free pumping bra once I got into my pumping routine so that I was able to wash one and still have one to use. I absolutely got my money’s worth out of both of them. Even if you only pump once a day or once every few days, you’ll still be spending a decent amount of time hooked up to your pump. If you are someone like me who pumped a minimum of 3 times a day (and as many as 8 times a day during the peak of our nearly exclusive pumping phase), that is A LOT of time hooked to the pump. I created a little pump station in the corner of my living room, with necessities to make pumping easier and more comfortable for me. Swing, bouncer or play mat for your baby, so they can be nearby and occupied while you pump. 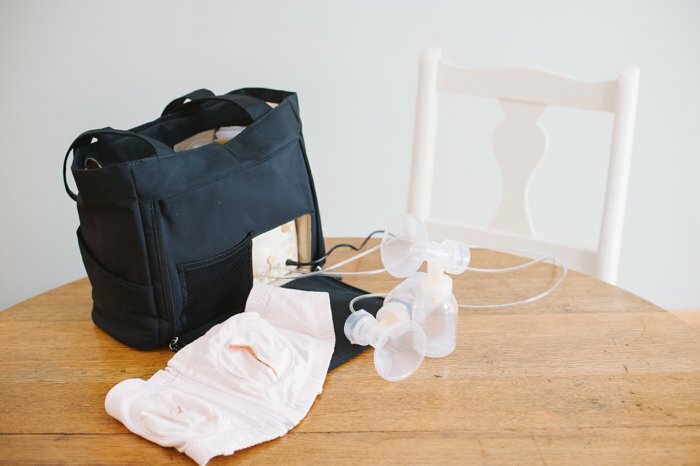 Whatever you decide to include in your pumping station, it should be things that help make it a little easier to be stuck in one spot, hooked up to a breast pump. Anyone who has pumped and had to clean the many different parts of their breast pump will tell you that is one of the worst parts of the whole experience. There are SO many parts to clean! 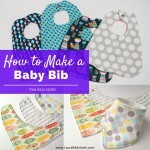 Early in my pumping season, my sister told me a life hack that saved my sanity during my time pumping for my son. Instead of washing all of the pump parts every time I used them, she told me to put all of the parts inside a gallon-sized Ziploc bag, and stick them in the refrigerator. She said they would be ok in there throughout the day, and I could wash them all after my last pump session before bed. It worked wonders in saving me time throughout the day. 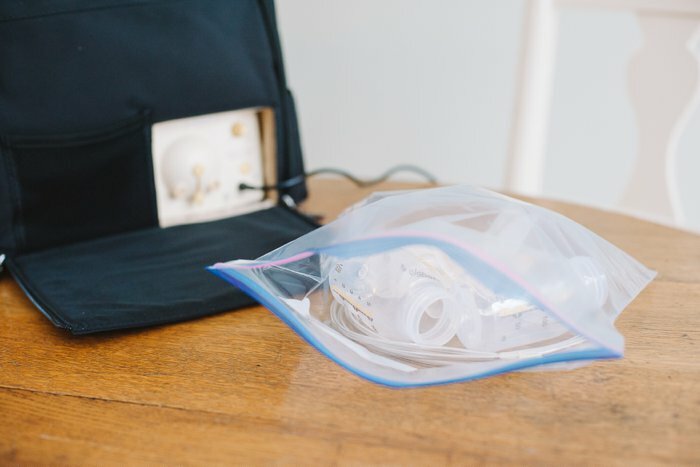 Every time I pumped during the same day, I would put the parts back in the bag, and stick it back in the fridge. When my last pump of the day came, I would wash the parts, lay them out to dry, and start all over again the next morning. It saved me so much time standing over the sink, shoving a tiny brush into even tinier crevasses, trying to get all the milk residue out from every pump part. Washing pump parts once a day is enough. Once you pump the breastmilk, then you have to store it. 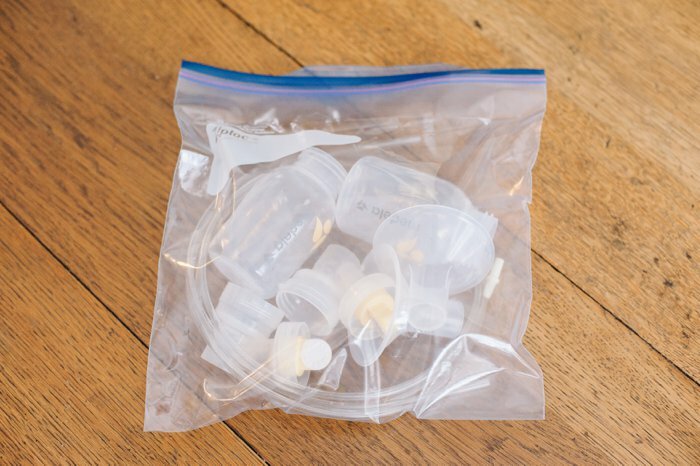 If you are building your freezer supply, you will want to transfer the breastmilk to a storage container like these small tubes or my personal preference: plastic breastmilk bags. 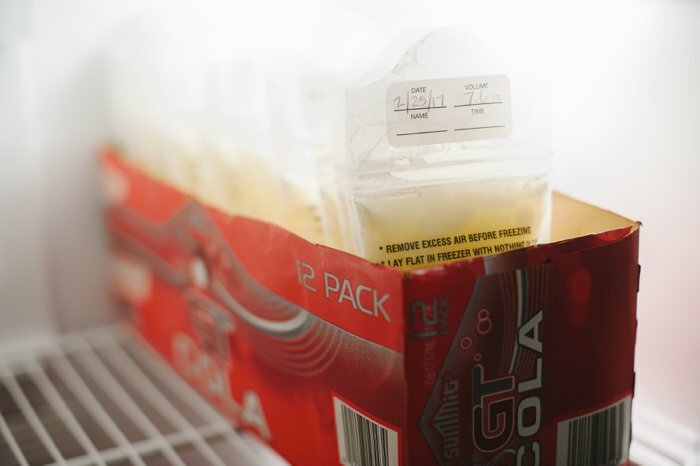 I wrote about my favorite method of storing breastmilk in the freezer here – the 12 pack of pop box trick. First label, and then the freeze milk bags flat in the freezer. Then stand them upright in a pop box with the top cut off and slide them into your freezer that way. The bags should be arranged with the oldest milk in front so that the older milk gets used first. 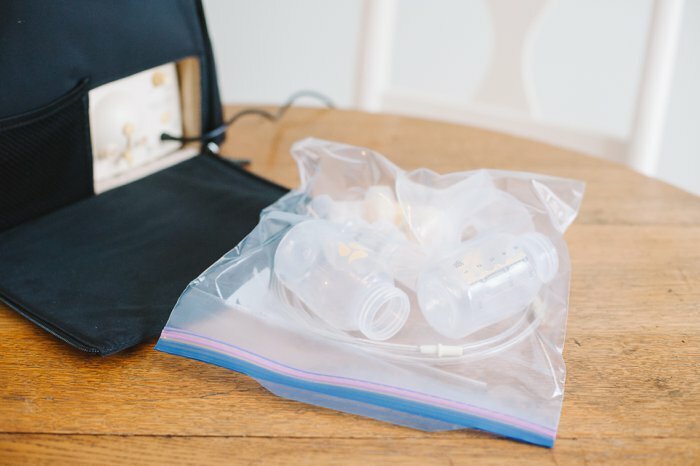 Whatever method you choose to store and freeze your breastmilk, you want to make sure you are dating the bags and writing the ounces, and making sure you use the older milk first. Pumping is a very hard thing with very amazing results. 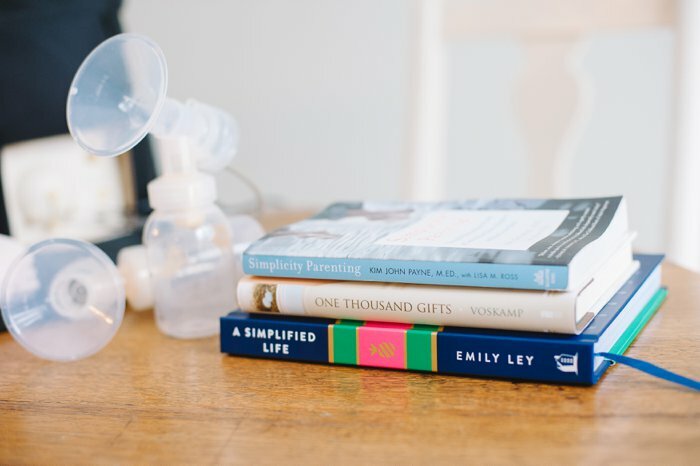 Anyone who has pumped breastmilk for any considerable length of time will tell you that while they’re so thankful to be able to provide for their baby in that way, it is an exhausting process. 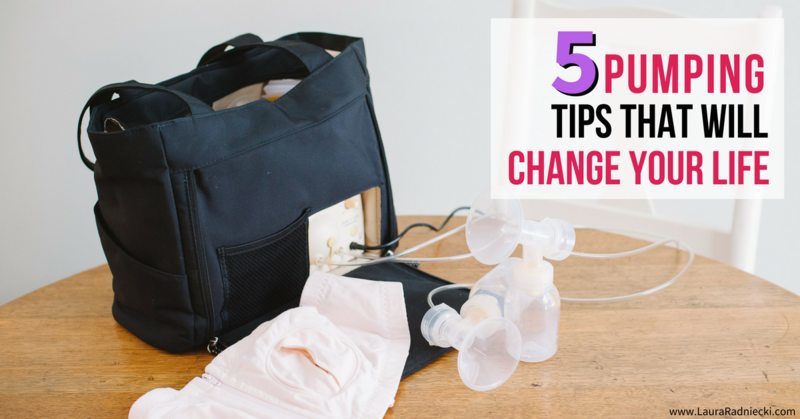 These 5 pumping tips helped make life a little easier for me when I was knee-deep in my own yearlong pumping journey. I hope they will do the same for you!